Amidst compounding analyses that Turkey is sliding into authoritarianism, one good news story is receiving insufficient attention: Turkey’s handling of the migration crisis. Whereas hostility toward migrants catalyzed Brexit, threatens German Chancellor Merkel’s career, and prompted President Trump to order separation of illegal migrant parents from their children, migration has never become a major political issue in Turkey, not even during the country’s recent landmark presidential and parliamentary elections. Instead, Turkey has quietly absorbed more than 3.6 million refugees and other migrants since 2015, compared with approximately 2.5 million for all EU member states combined. Yet, supposedly illiberal Turkey has set a powerful and positive example for upholding one of the most central of humanitarian values: providing shelter, opportunity, and hope to some of the world’s most vulnerable people, the displaced. Since 2015, the Turkish Government has spent over $30 billion to care for Syrian refugees. The camp we visited at Nizip on the Euphrates River, just north of ISIS-ravaged Kobane, is clean and orderly, with brick streets and not a speck of litter. Alongside neatly arranged rows of 4000 container-homes are a school, medical clinic, supermarket, social-psychological activities center, playgrounds, a library, and even a hair salon. Camp residents are free to come and go, and many have jobs in nearby towns. And, the container camp at Nizip is not simply a propaganda showpiece: the New York Time dubbed its sister camp at Kilis “a perfect refugee camp” back in 2014. The camps, however, are only one element of Turkey’s response to the migrant crisis. As senior leaders of the Turkish Red Crescent told our Atlantic Council group in Gaziantep, approximately 90% of all Syrian refugees have moved beyond the camps and into Turkish cities. The Turkish Government and Turkish Red Crescent are providing incentives for these refugees to integrate into Turkish society. These include subsidies calibrated to families’ economic needs and their children’s rate of school attendance, which are distributed via bank debit cards, thereby providing a sense of dignity and connection with the Turkish economy. This is not to say Turkey’s response to the migrant crisis has been flawless. As some Turkish officials told us, better coordination is required from government ministries in Ankara to deepen refugees’ social integration and attract investment from Syrian businesspeople. Meanwhile, grumblings are growing in Turkish cities’ refugee-heavy neighborhoods that needy Turkish citizens are being crowded out from social welfare services while loosing jobs to cheaper Syrian labor. As a resident of Istanbul, however, I have nevertheless observed a general response throughout Turkish society of an obligation to care for desperate people arriving on Turkey’s doorstep. This generosity seems to derive from several sources, including a proud recollection of Turks’ shared Ottoman history with their Syrian neighbors, and perhaps a sensitivity to the vulnerability felt by migrants to a new land, as experienced by millions of their relatives in Western Europe. Whatever the reason, Turkey has upheld the Middle Eastern tradition of hospitality by embracing a flood of refugees in ways that no other country in the Middle East, except for Jordan, has done. Yes, Turkey finally erected the sort of wall along its border with Syria that President Trump and his supporters dream about; but Turkey did so only after providing shelter to the largest number of Syrian refugees anywhere. So, even though many in Europe now worry as President Erdoğan takes the helm of a new political system of his own design, which further boosts his authority, it is nevertheless in the European Union’s self-interest to acknowledge Turkey’s effective handling of the migrant crisis. Provision of the EU’s second €3 billion tranche of assistance in keeping with the March 2016 EU-Turkey agreement is a good first step. By continuing and deepening this partnership, the EU will encourage Turkey to sustain its investments in coastal patrol, maritime radar, and other capabilities that have stopped the flow of migrants across the Aegean Sea and into Greece. Chancellor Merkel seems to share this view. 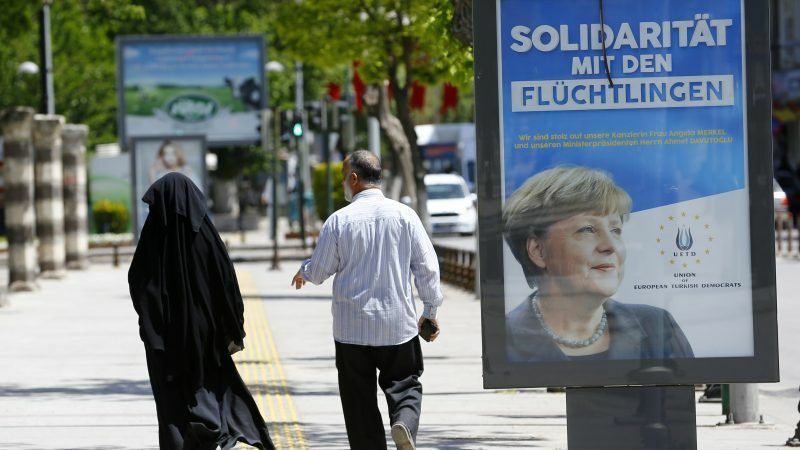 Just ahead of the EU’s June 28 Summit, she praised Turkey’s handling of the migration crisis, telling the German parliament, “Whatever you may say about Turkey, that is a fantastic achievement that Turkey has done here.” Indeed, Merkel understands that her political future depends largely on Turkey’s continued willingness and ability to keep serving as a model protector of some of the world’s most vulnerable people.